And could be yours for just $40,000. 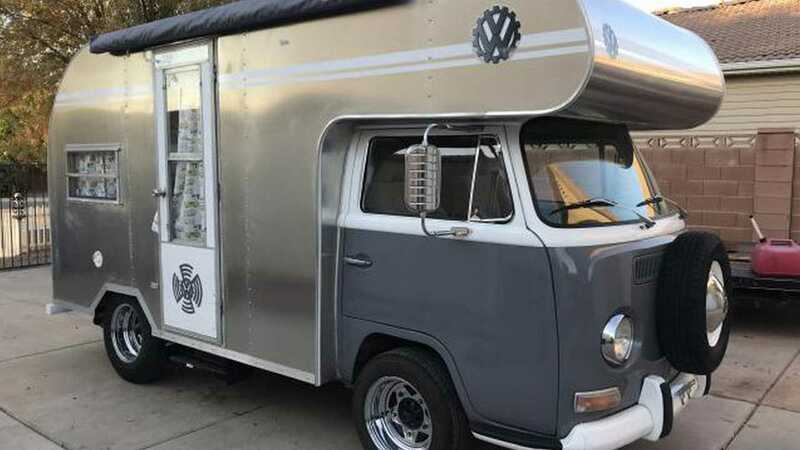 The Volkswagen Bus camper you see above and in the attached gallery may not have the number of windows this awesome Samba Campervan has but is still super cool in a whole different way. It’s nothing close to an original Samba camper and instead features a completely rebuilt custom cabin. The base is a 1969 Bus chassis which still uses its four drum brakes but the original engine is gone. It’s replaced by a 2.5-liter Subaru-sourced engine and the seller says the powertrain ensures the camper cruises fine at 70 miles per hour (113 kilometers per hour) and “takes hills easily.” The average consumption on trips you could expect is somewhere around 15 miles per gallon. The top is one aluminum piece mounted on a steel frame covered with aluminum. The dinette inside converts into a queen been and there’s another smaller bed for two over the cabin. There’s a solar panel on the roof that charges two batteries, feeding the microwave, coffee pot, and water heater. Speaking of water, there’s also a 12-gallon (45-liter) water tank. The current owner also claims the air conditioner “blows cold” so the bus should be a comfortable place even for longer journeys. Interestingly, it has a receiver hitch and can tow a small trailer behind it. You can see the full rig in some of the photos. The price? The custom camper located in Saint George, Utah, is currently listed for $40,000, but we bet you can negotiate the price with the seller. The reason for the sale? 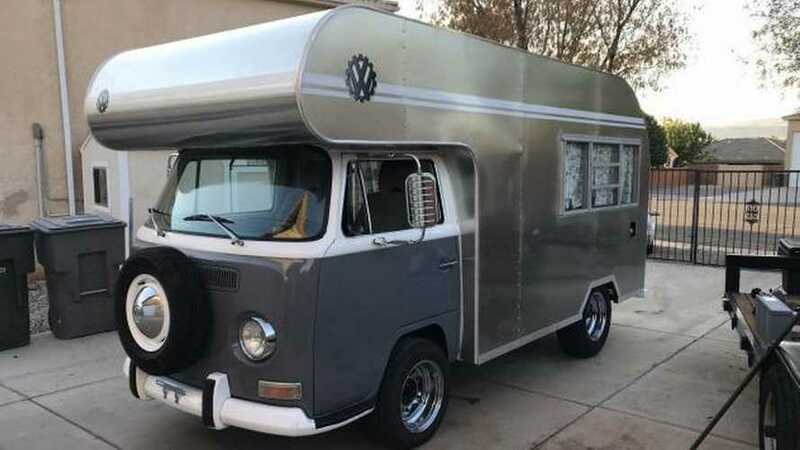 According to the owner, he has started a new camper project and supposedly needs the money, space, and time for it.